My box of Dark Imperium, along with the Imperial I and Chaos indices, sat gathering dust in Bristol Independent Gaming for an unreasonable amount of time. Finally, after a busy surge at work and a relaxing break in Lisbon, I picked up my goodies. Last week I got my first game of 8th down at Bristol Independent Gaming. The day before I had spent a few hours rebasing and touching up my 40k Army – The Marines Malevolent! I absolutely loved these guys at the time and really appreciated the fluff Nick Kyme gifted this chapter. For those not familiar, they are a really nasty lot. They wantonly disregard imperial institutions (and lives) in the pursuit of their enemies. Their contempt for others has not played out well and they can no longer count on the Administratum or Mars for logistical support. As such, they scavenge, scrounge and downright steal in order to keep themselves operational. Their kit is, as a result, antiquated, battered and a strikingly at odds with those chapters that revere their wargear. Consequently, many chapters regard the Marines Malevolent as beneath contempt and barely worthy of the name Astartes, yet it is a testament to the chapter’s grit that they can survive in a hostile galaxy with such an arrogant and destructive temperament. Bericus was given the honour of triggering the release of the Life Eater Virus against the Genestealer-held world of Trepta. From orbit, he watched entranced as the virus blossomed across the entire planet, wiping out every living thing, before finally consuming the atmosphere in a series of hellish firestorms released by the stored energy of the world’s dying biomass. Bericus was infiltrated into the heart of the vast bunker complex on the rebellious mining world of Jibbus IV in 901 M41 and laced the ancient life support machines with nerve gas, killing millions of heretical fanatics in minutes. Bericus knew his actions were justified, as the world can still by mined by the automated servants of the Adeptus Mechanicus, but sometimes he still hears the choking screams of the dying. During a desperate defence of the Forge World of Rotracuda in 946 M41 from a massive Tyranid splinter fleet, Bericus, then a member of his Captain’s honour guard, called artillery fire onto his own position as it was overrun. Bericus’ actions led to the death of all of his surviving squadmates, but was lauded by his superiors (including his mortally wounded Captain) as exemplifying the ruthless ethos of the Chapter. Bericus commanded the cleansing of the hive world Maudigarn II in 980 M41. The world had been infiltrated by a sinister race of shapeshifting Xenos able to replicate the divine human form. The world was in the process of tearing itself apart in a series of paranoid civil wars until the Chapter descended upon it and instituted brutal purges. Billions were killed, thousands of them at his hands. Most of them were probably aliens, though there was no way to be sure. Even if hundreds were innocent…better to die than suffer the Xenos to live. As part of Captain Vanyar’s strike force Bericus was tasked with leading his Sternguard squad on seek and destroy missions on high priority targets. 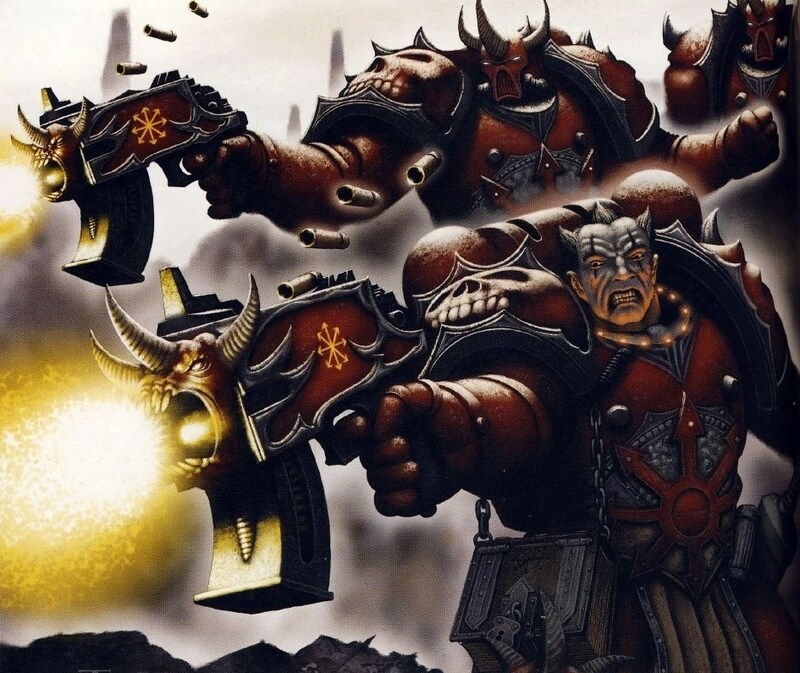 Open warfare of this kind, bloody and merciless, against an enemy that would give no quarter, saw Bericus embody the epitome of what it is to be an Astartes of the Marines Malevolent. He would endure days of ceaseless slaughter striding across the ash wastes, heedless of his safety, armour pitted and blackened by combat, tirelessly seeking greenskins to strike down. Bericus’ wounds didn’t impede him from participating in every major action of the campaign, despite the grievous injuries that he sustained at the claws of an orkoid war machine. It is worth noting that Bericus was present during the incident at the “Emperor’s Deliverance” refugee camp and a staunch supporter of his brother Captain’s tactical decision to use the camp as a killing field. As requested the thick astral scope of the Adsideo, one of nearly six hundred orbiting watch stations, glanced away from its vigil on the Pallidus Mountains to inspect a tiny corner of the Infensus region. Adepts adjusted the magnification, cycled through image filters and promptly found what the terse report from the Adspectus Claritatis was demanding. A plume of dust. The filters cycled to thermal, peeling away the obscuring layers, froze the image and came to a rest. The outline, despite some atmospheric distortion, was unmistakable. A score of Ork vehicles, adorned with all the accoutrements of crude lethality that could be expected of their race. There too, gutted on their battered hulls like offal on a butchers block, were the grizzly remains of what had been the Kholundan IXth. The Razorback’s heavy treads locked abruptly, bringing the fearsome tank to a screeching stop behind the boarding ramp of the waiting Thunderhawk. The craft’s enormous turbofans beat up billowing plumes blasting the armoured vehicle underneath in noxious dust and toxic filth. No, no. This world’s not done with you yet, thought Bericus inside the halted Razorback. ‘Captain Tull to Sergeant Bericus,’ rasped a disembodied voice from the tank’s internal voxcaster. Tull, the taskmaster, the uncompromising, the sentinel of what was Hades, the Lord of the Third – or what was left of it. ‘Aye, Brother Captain,’ said Bericus, picking a fleck of bone from the teeth of his underslung chainblade. Yes Tull. I understand. We’ll intercept them.The Titan graveyard will be the killing ground. The leering skull face of that fallen lord of war will witness their ruin, see them and their wretched hulks smashed by my brothers. I picture them even now, hungrily entering that adamantium ruin. Into our bolters. Into our blades. Into our steed’s assault cannon. ‘Glory and hate. Tull, vox-out.’ The link snapped closed as Bericus gave a nod to Brother Fortix opposite. Fortix banged his gauntlet hard on the battered plate that separated the five astartes from their driver. The Razorback roared into life, surging out from under the rapidly climbing thunderhawk. The tank’s treads tore through the rank silt, eagerly gunning towards the new objective. Inside, Ajax pulled out his auspex, deftly goading the machine spirit into life with a silent prayer whilst Domli rose steadily and opened the top hatch. Suffocating heat poured into the compact compartment as the marine climbed out onto the hull. Domli gripped tight, his dull mustard armour suddenly bright in the intense glare of Armageddon’s hellish twin suns. The vehicle bucked about savagely as it tore through the blasted landscape. Ignoring the forces threatening to throw him off the hull, Domli reached out and ripped away the heavy enviro-tarp covering the twin linked assault cannons. Brother Ursad exchanged his sickle magazine for a sixty bolt round drum, locking the hefty load underneath his MK IV Godwyn Vb bolter just as the corvus helmed Domli dropped back onboard. The thick hatch behind closed him with a resounding crunch of alloy on ceramite. He tossed the tarp to one side and drew his boltgun, a matt black Umbra bonded with an indiscreet melta then checked the mechanism for the hundredth time that day, and days were short on Armageddon. Ajax sat at the Razor’s command node, his testy auspex now mag-clamped to his thigh and tracked the horizon through the assault cannon’s ocular feed matrix. The five armoured giants went about their battle rites in grim silence. No regard was given to the fact that the Thunderhawk now searing into the crimson sky had been mere seconds away from taking them away from this wretched planet for good. This entry was posted in Uncategorized and tagged 40k, fanfiction, gaming, space marines on 17/08/2017 by darkfuture. My work on the pile of terrain I ordered from TTCombat continues. Below you can see the Armoured Bunker that I have begun painting. It has been sprayed, washed, drybrushed and now awaits a little bit of detail work. The building itself is mounted on a cork tile that I painted with Vellejo Black Lava and sprayed with grey auto paint. The building itself was sprayed with metallic paint and washed in a combination of browns and black. In terms of details, I’m thinking a combination of hazard stripes, blood splatter and motivational posters for flavour. Standby for updates… soon. Here you can see some Traitor Auxilia making use of this fortification. When you go to war in purple robes, it’s a good idea to make use of any cover you can find. I also completed the second walkway. When I think back to games of 40k and 30k that I’ve played recently, the use of levels is sadly lacking. Hopefully, this terrain is going to throw another dimension on the table and shake up the way people play. I’m very excited to get these on the table soon. I continue to be enormously impressed with TTCombat. This entry was posted in Uncategorized and tagged 30k, gaming, general hobby, horus heresy, imperialis militia, Ogryn, terrain, ttcombat on 12/04/2017 by darkfuture.